These beautiful books are specially created for parents and carers of kids on the autism spectrum. They offer tested, positive strategies to support both parent and child in getting through everyday activities with reduced anxiety, minimum stress, and maybe even have some fun along the way. Valerie Sheehan is a professionally trained ASD tutor with 12 years experience working with families and kids on the autistic spectrum. She is passionate about providing tools and educational resources for parents, carers and teachers. Everything in these crafted books has been tested and developed with over 50 children and families – all of whom hold a special place in Val’s heart. With ASD, children's senses can be overwhelmed by unfiltered information. The world can be intensely noisy, blinding or filled with strong smells. It is harder for them to focus on words and hold conversations. Their main difficulties typically present in three core areas: social interaction, social communication and imagination and play. These difficulties can have a huge impact both on the child and on their family. They can affect the child’s relationships with their parents, siblings and peers. Visual learning is a very important tool for children with ASD. It helps them to focus on and remember information. The language is kept direct in the books with very clear visuals so children can follow the stories themselves if they want to look at it. Tony's expressions are easily recognisable and these clear visuals make it easy for the child to follow the story and understand how Tony is feeling. 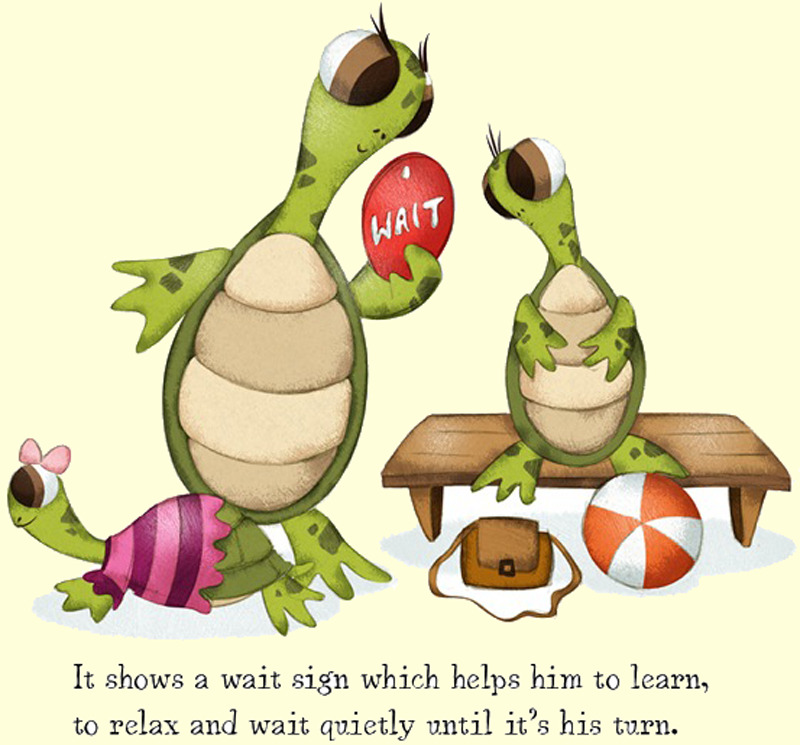 Tony the Turtle stories focus on specific social skills that children with ASD may find difficult. Through her vast experience as a home tutor, Valerie has learned many ways to support children and develop their skills. This series of books provides a range of strategies that the characters in the books implement in order to help them learn what to do in a range of social situations in a positive manner. Through an enjoyable bedtime story, the child has a wonderful character to identify with and parents learn some useful techniques and daily tips. 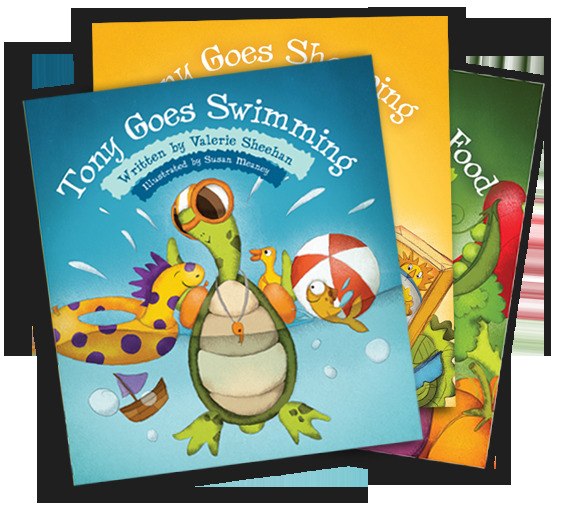 It’s a win-win situation for parent and child as they all will gain something from reading the daily adventures of “Tony the Turtle”. 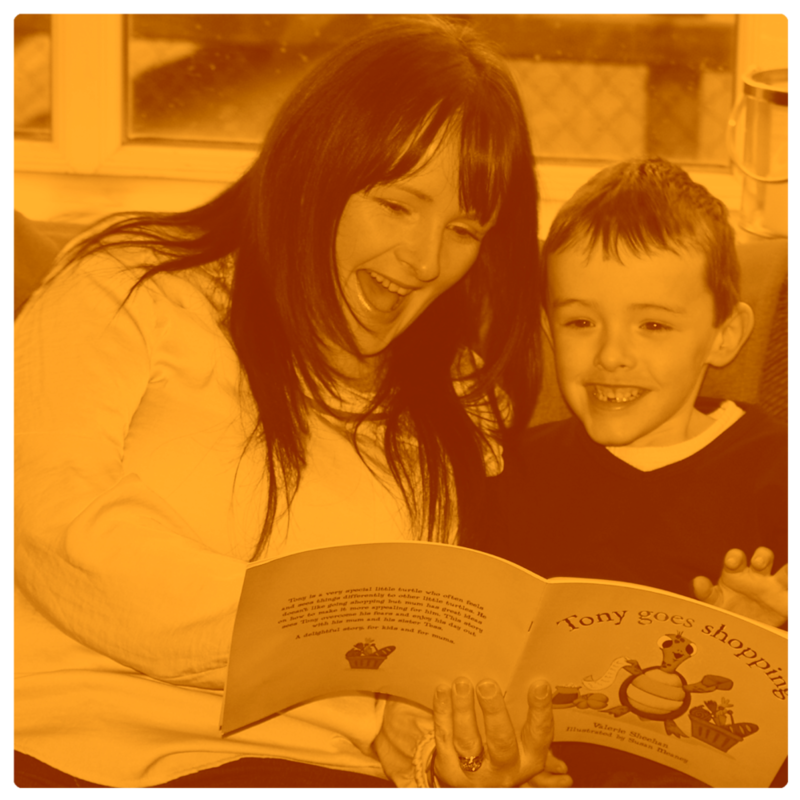 Reading with your child is so important and these books provide a wonderful opportunity for parents to share time with their children, be empowered as to ways to support them and also develop their emerging literacy skills. "Tony Gets his Hair Cut" – "Tony uses the Toilet” – "Tony goes to School"
Illustrator and graphic artist Susan Meaney lives and works in the west of Ireland, with the Atlantic on one side and the marvellous Burren area on the other.